Larry is ranked in the top 3% of all real estate agents in Minnesota. 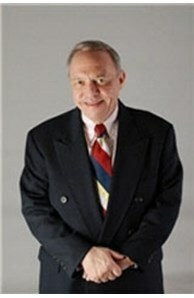 Larry represents his real estate clients with an aggressive & proactive sales and marketing style. As a lifetime resident of Minneapolis and the surrounding western suburbs, he truly understands the marketplace. Larry offers his clients extensive experience and gets to know them as families and individuals. He cares passionately about the people he represents. He strives to bring unparalled service, experience and professional standards to each and every transaction he handles. I believe in the philosophy of 'A goal is just a dream with a deadline.' As one of our area's top producers, I urge my clients to set the pace they are truly comfortable with. Adopting a teamwork approach with my clients is the secret to my success. My philosophy is to look beyond the sale by getting to know you and your family. Our group includes superior realtors and highly trained professionals who have the experience to sense your needs and make things come together. We have built a network of trustworthy specialists, including mortgage bankers, architects, home inspectors, appraisers, landscapers, home designers & stagers, and approved craftsmen from almost every major building trade. Coldwell Banker Burnet has always led the way in emerging real estate technologies. As a home buying or selling customer, you can be confident that we will employ the most current technological tools to successfully market your home or make your home search an efficient process. This includes our proprietary HomeQuest property search software program, our Home InfoLine interactive voice response system that allows consumers 24-hour access to information on all Coldwell Banker Burnet single-family residential properties, and our robust Internet marketing presence. My wife, Betty, and I along with our daughter Abby reside in the Hopkins/Minnetonka area. Abby attends St. Mary's Colleg. Carly, the oldest daughter, is a Pre-Med student at St. Catherine’s College. Betty is President of our family business, Ribbon Fair Inc and a manager with Macy's North. Since 2000, our firm has been guided by a set of principles. Over the years, they have been modified to reflect a changing environment, but the basic mission has remained the same. Our mission is to create and promote: positive experiences for our customers and communities; opportunities for personal growth; change and innovation; and a fun, fulfilling, and respectful environment.